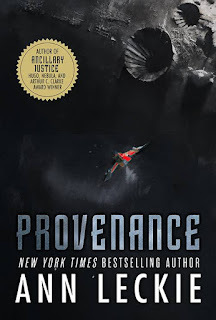 A few years ago, Ann Leckie's first book, Ancillary Justice, took the SF world by storm, winning just about every major award the field has to offer. The next two books in the Imperial Radch trilogy, Ancillary Sword and Ancillary Mercy, cemented her as one of the top writers in the field and one of my favorite authors. So when I heard about this book, set in the Imperial Radch universe but featuring different characters, I snapped it right up. Unfortunately, I delayed reading it till now, due to a misapprehension I had about the book. Someone on a site I hang out referred to it as a "caper" kind of story. To my mind, a "caper" is a complicated, twisty, con-artist shell game sort of book, similar to the movie Ocean's Eleven. It's also a genre I don't particularly care for. Therefore, after the book arrived, I set it aside and read other things. But now that it's on the Hugo ballot, I buckled down and read it through, and discovered to my delight that it's not a "caper" at all, as far as I'm concerned. It's admittedly not as dark or as complex as the Imperial Radch trilogy. Those books grapple with some weighty themes: personal identity, autonomy, the desire of some of the artificial intelligences of the Radchaai Empire to break free and be declared an independent sentient species. 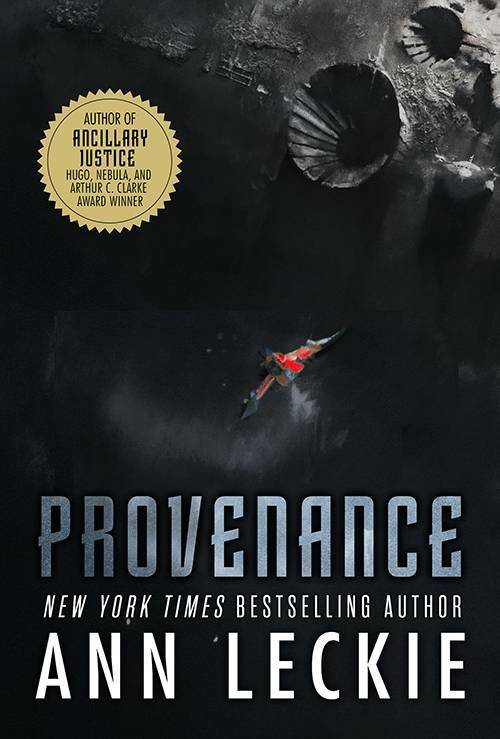 Ingray Aughskold, the protagonist of Provenance, wants something simpler: to outwit her foster brother Danach and force her foster mother, as well as other people on her home planet of Hwae, to take notice of her. Or at least that's what she thinks she wants. Throughout the course of this book, Ingray goes on a delightful coming-of-age journey. What makes Ingray such a good character is that she's so relatable. I love Breq, the hero of the Imperial Radch trilogy, but Breq isn't human; she's the artificial intelligence of the warship Justice of Toren, downloaded into an "ancillary" body when the ship was destroyed. Ingray, on the other hand, is all too human: flawed, young, unsure of herself, vulnerable, prone to crying. Yet despite all this, despite the fact that for the last third of the book she's scared out of her mind, she keeps trying to do what she thinks is right. She's not a badass in the sense of sock-pow-chop awesome martial arts moves, but when push comes to shove she makes a weapon out of whatever is to hand (including an oversize pair of boots that, she insists, aren't even hers), and proceeds to lay waste to her enemies. In the process of extricating herself from the situation her desire to impress her mother has gotten her into, she discovers who she is and who she wants to be; and that person is not her mother's heir after all. Ingray Aughskold is a delight, and the supporting characters are equally well drawn. Overall, this book isn't quite as good as the Ancillary novels, but it's a worthy addition to the Imperial Radch universe.